A report in Christian Science Monitor indicates that one industry was a surprise winner of the Obama stimulus spending spree in 2009 – the gun industry. Many gun-loving Americans are convinced that President Obama and the Democratic-controlled Congress are bent on ripping rifles from their “cold, dead hands,” as actor Charlton Heston once declared at a National Rifle Association meeting. But from the perspective of police departments – not to mention gunmakers – the Obama administration may go down as one of the most gun-friendly in history. Across America, police departments are using the taxpayer-funded stimulus bill to boost their arsenals with shotguns, handguns, and assault rifles. Legal firearms being bought by law enforcement weren’t the only transactions being made with stimulus funds. $10 million in stimulus funds went to support Project Gunrunner. For an additional amount for ‘State and Local Law Enforcement Assistance’, $40,000,000, for competitive grants to provide assistance and equipment to local law enforcement along the Southern border and in High-Intensity Drug Trafficking Areas to combat criminal narcotics activity stemming from the Southern border, of which $10,000,000 shall be transferred to ‘Bureau of Alcohol, Tobacco, Firearms and Explosives, Salaries and Expenses’ for the ATF Project Gunrunner. The Phoenix Field Division of the ATF brought us Operation Fast and Furious, in which assault weapons were allowed to ‘walk’ across the Mexican border in an attempt to monitor drug cartel leaders. 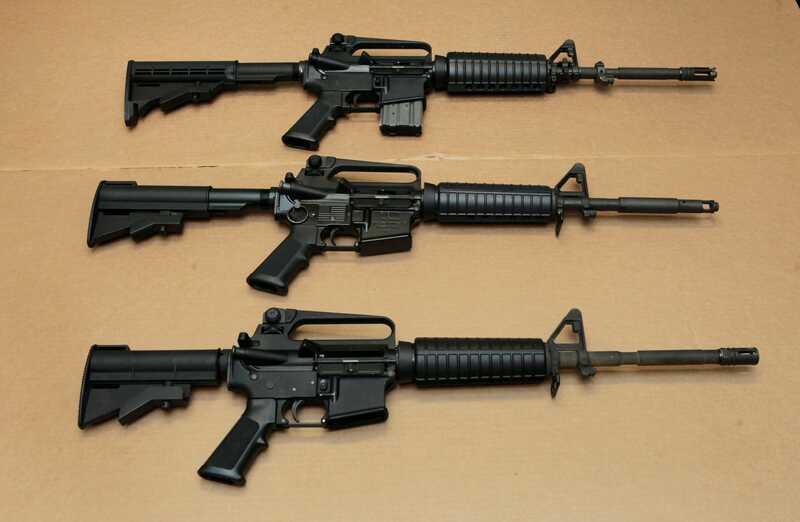 These weapons turned up at numerous crime scenes in Mexico, including scenes involving the death or wounding of at least 150 Mexican civilians, and of course, the death of border patrol agent Brian Terry, and more recently at the murder scene of Mexican beauty queen, Maria Susana Flores Gamez. One of those guns was used by Mexican gang thugs who murdered U.S. Border Patrol Agent Brian Terry last December. At least six veteran ATF agents and executives stepped forward to expose how ATF presided over the purchase of hundreds of high-powered rifles and pistols — over the objection of the very private gun shops that the Obama administration’s anti-gun zealots have vilified. One whistleblower familiar with Project Gunrunner’s Phoenix offshoot, dubbed “Operation Fast and Furious,” told CBS News: “The numbers are over 2,500 on that case by the way. That’s how many guns were sold — including some 50-calibers they let walk.” The weapon used in the Mexico slaying of U.S. Immigration and Customs Enforcement Special Agent Jaime Zapata has also been linked to Project Gunrunner surveillance operation subjects. If the White House is hell-bent on increasing gun restrictions in the United States, shouldn’t they begin by looking in house?